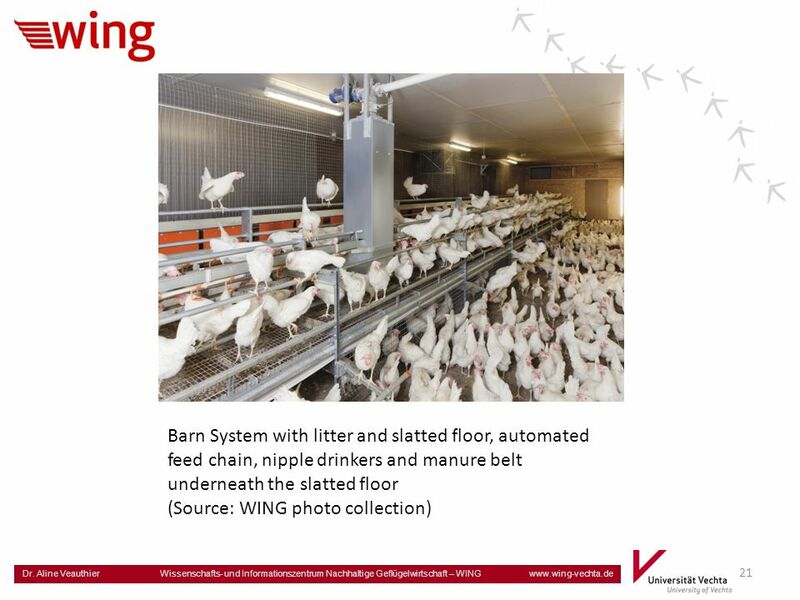 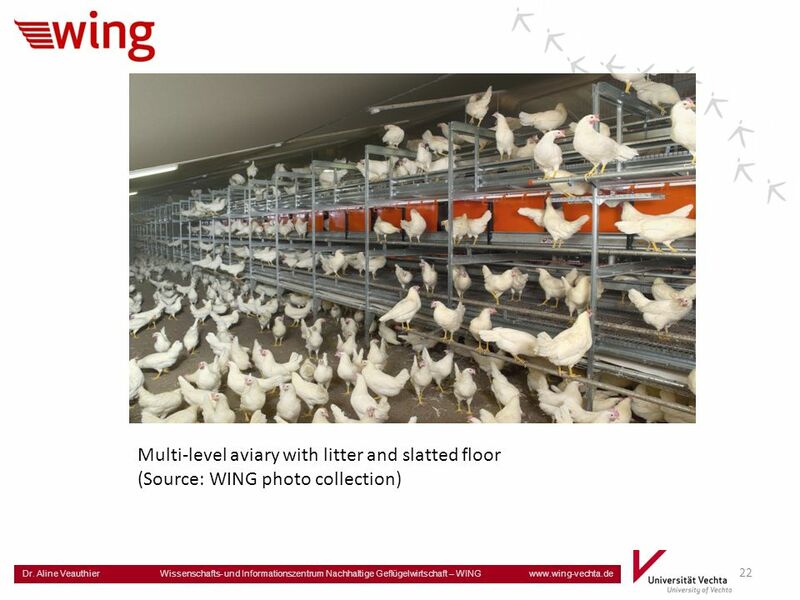 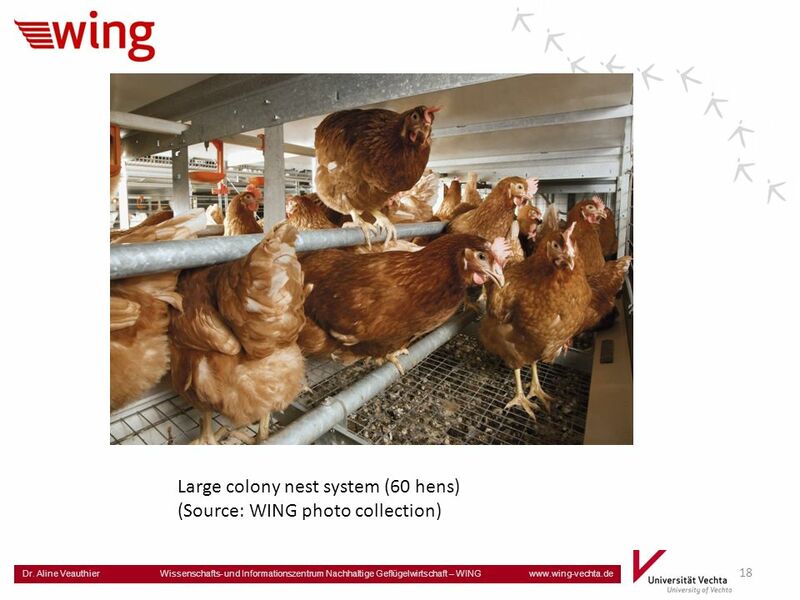 1 Dr. Aline Veauthier Wissenschafts- und Informationszentrum Nachhaltige Geflügelwirtschaft – WING www.wing-vechta.de Housing Systems in Laying Hen Husbandry. 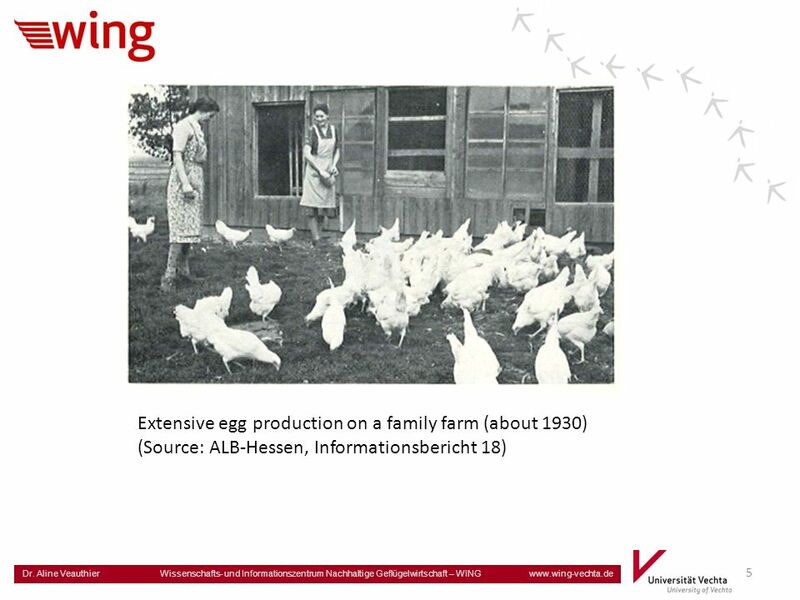 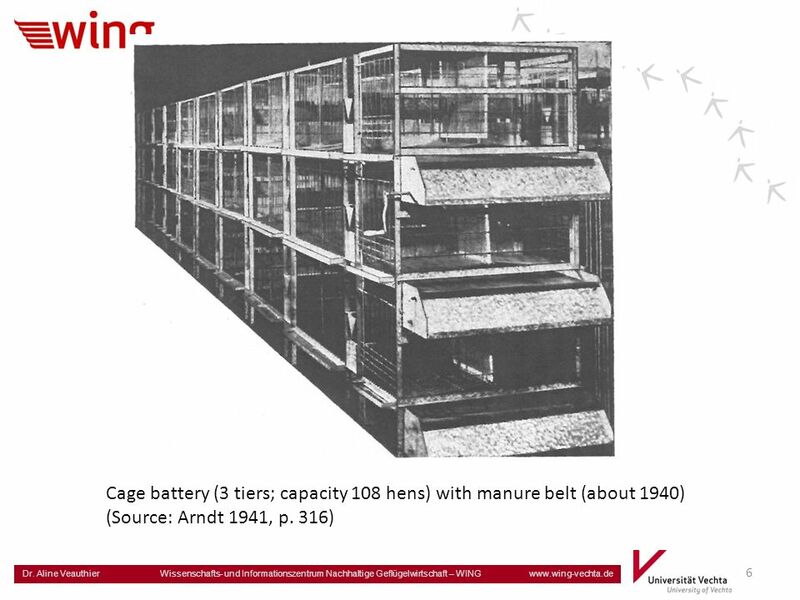 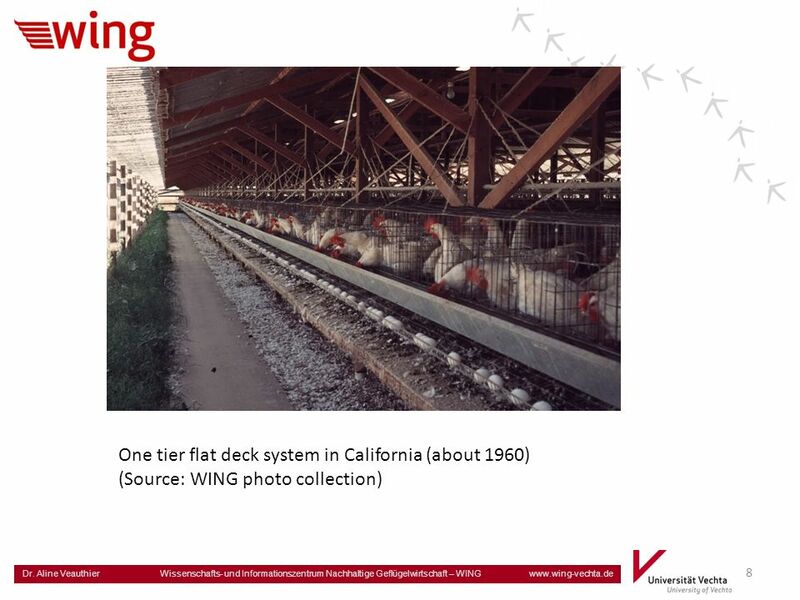 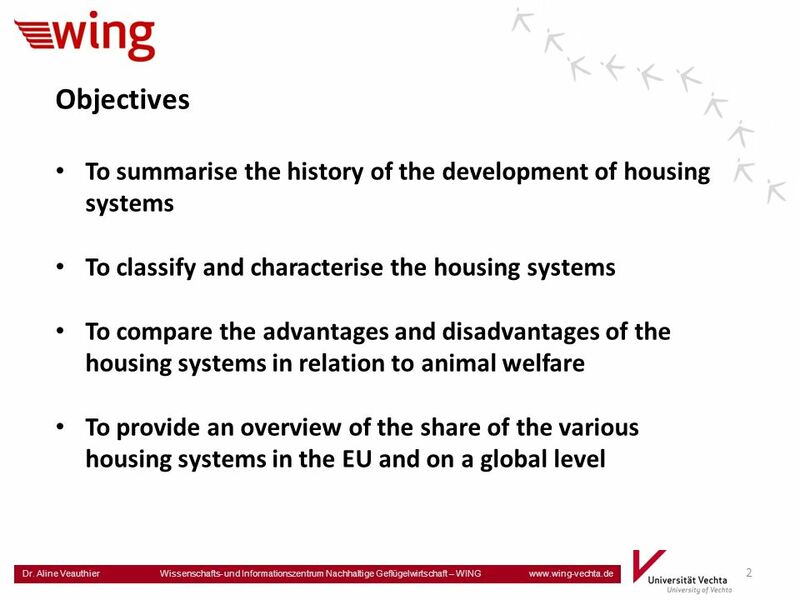 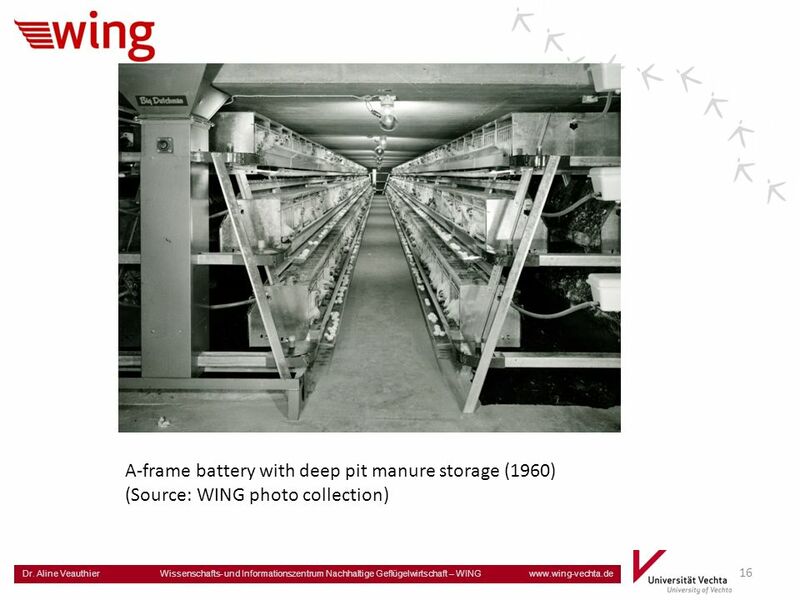 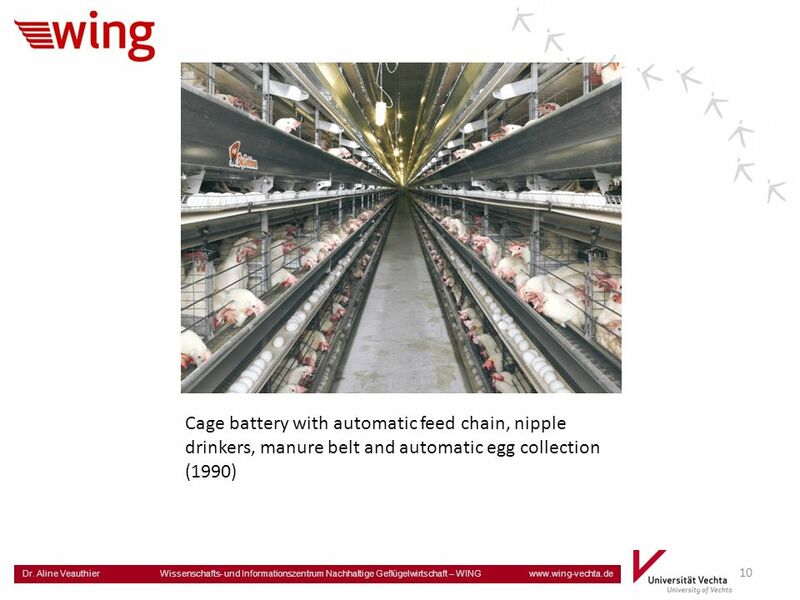 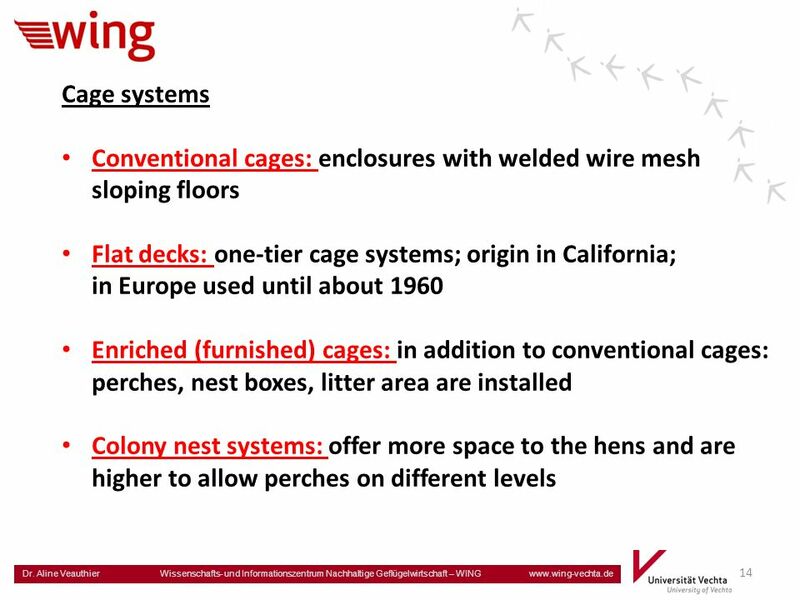 19 19 Dr. Aline Veauthier Wissenschafts- und Informationszentrum Nachhaltige Geflügelwirtschaft – WING www.wing-vechta.de Non-cage systems (1): are housing systems without confined devices which allow the hens most of their basic natural behaviour. 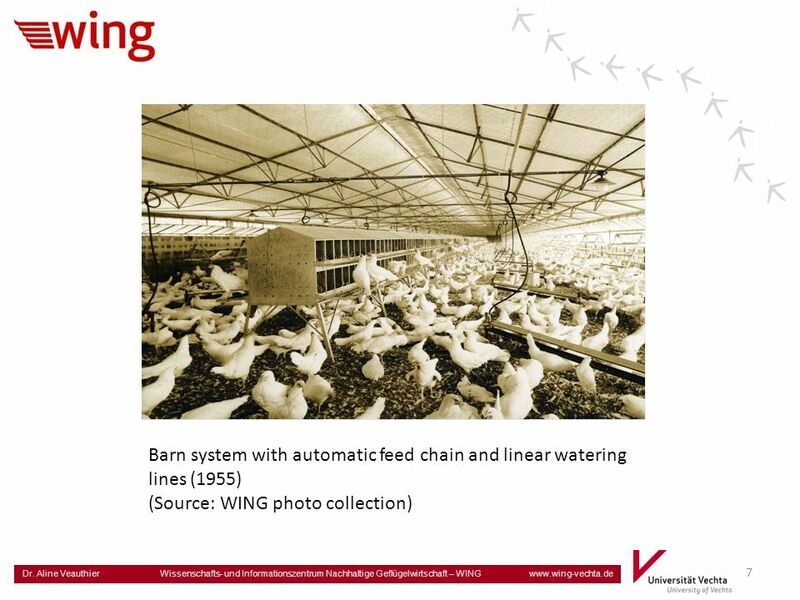 Barn or floor management systems are always one level systems in which the ground floor is either totally or partly covered with litter. 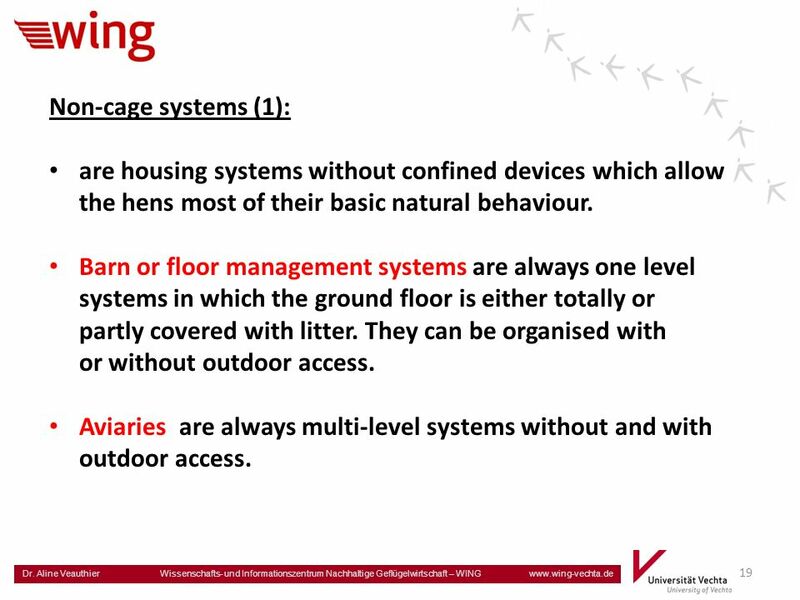 They can be organised with or without outdoor access. 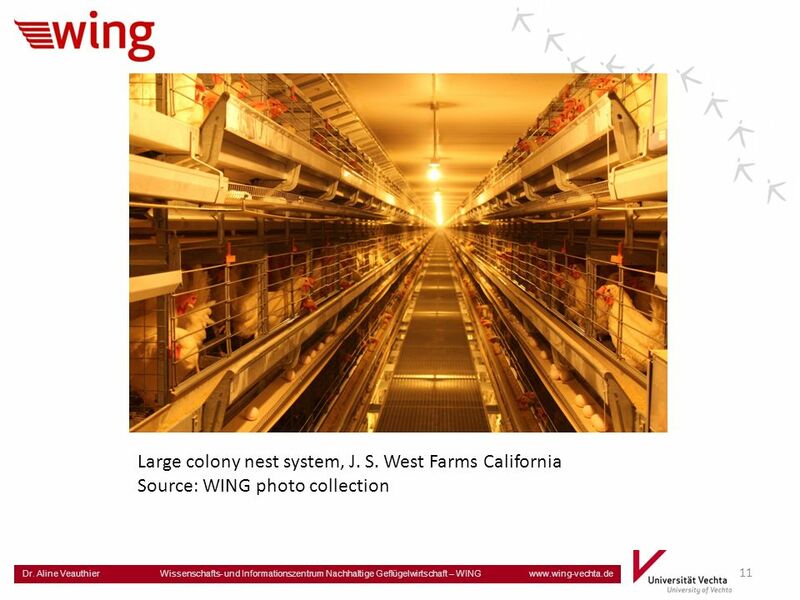 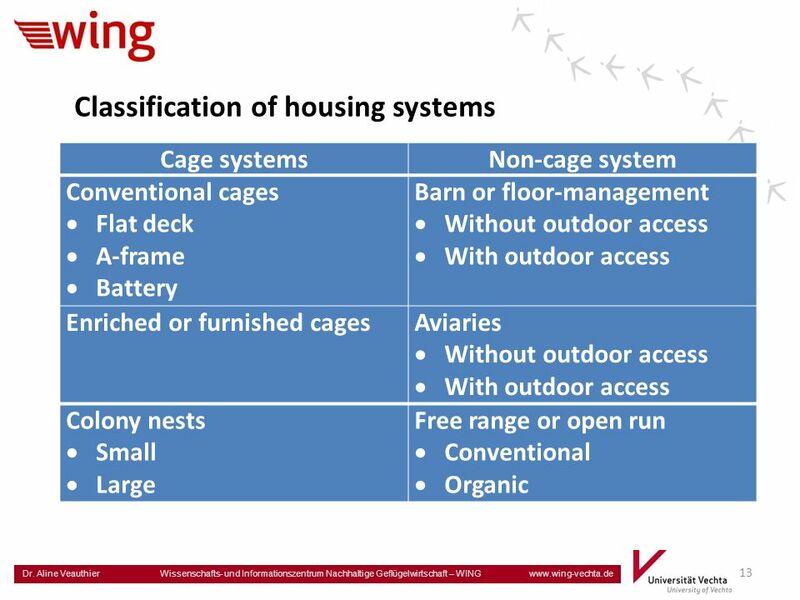 Aviaries are always multi-level systems without and with outdoor access. 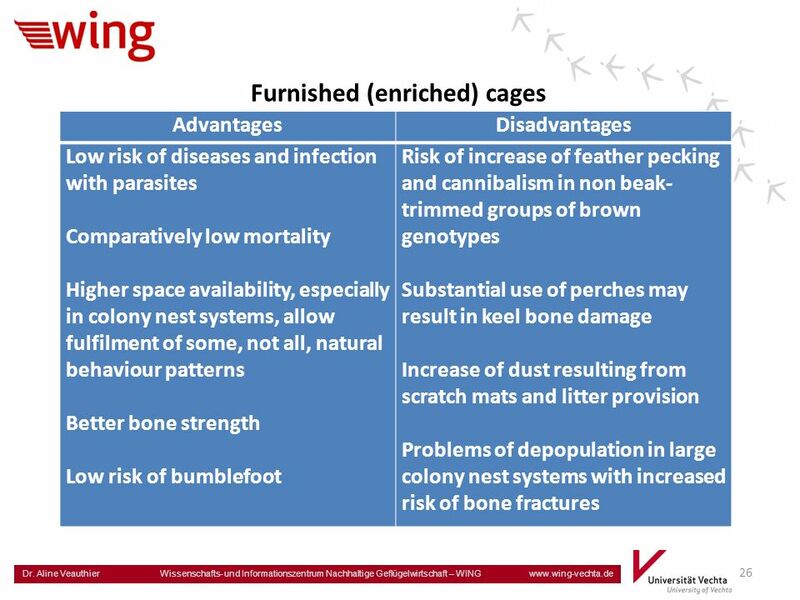 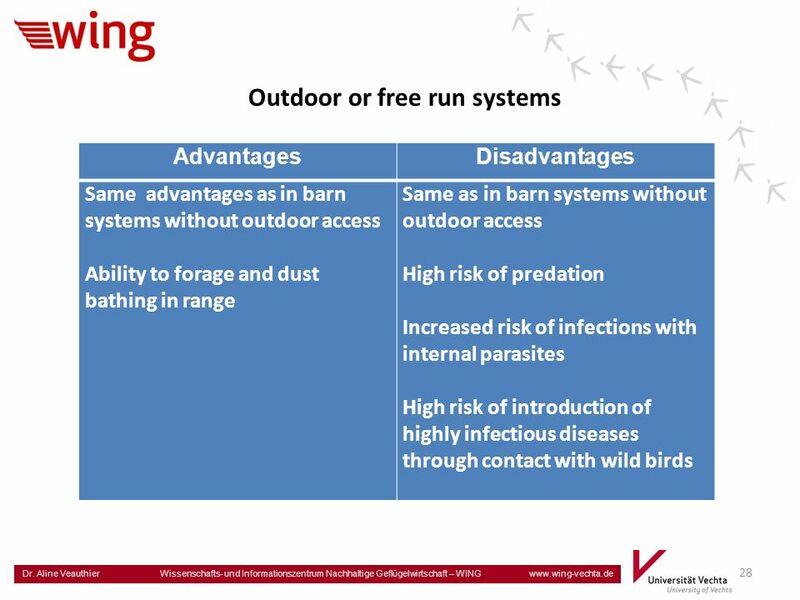 20 20 Dr. Aline Veauthier Wissenschafts- und Informationszentrum Nachhaltige Geflügelwirtschaft – WING www.wing-vechta.de Non-cage systems (2): Outdoor or free run systems: Conventional and organic free run systems only differ in the stocking density within the hen house: 9 versus 6 birds per m 2. 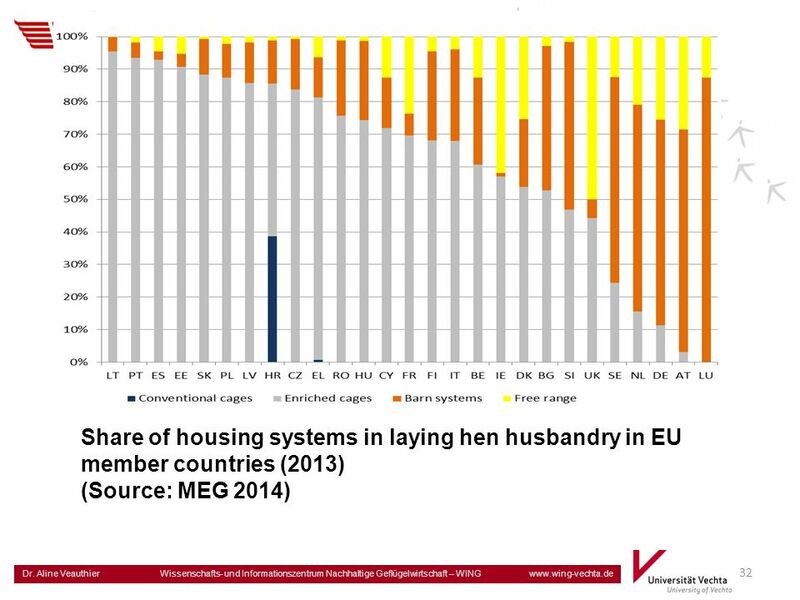 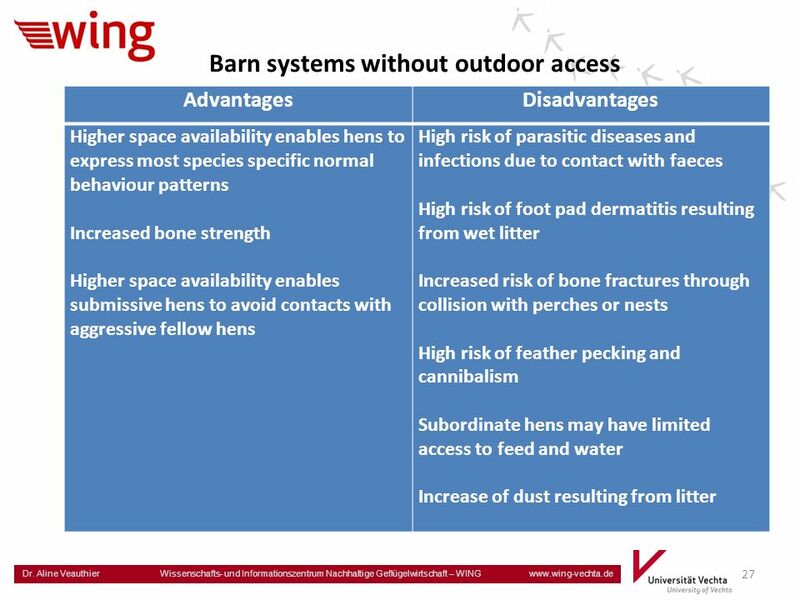 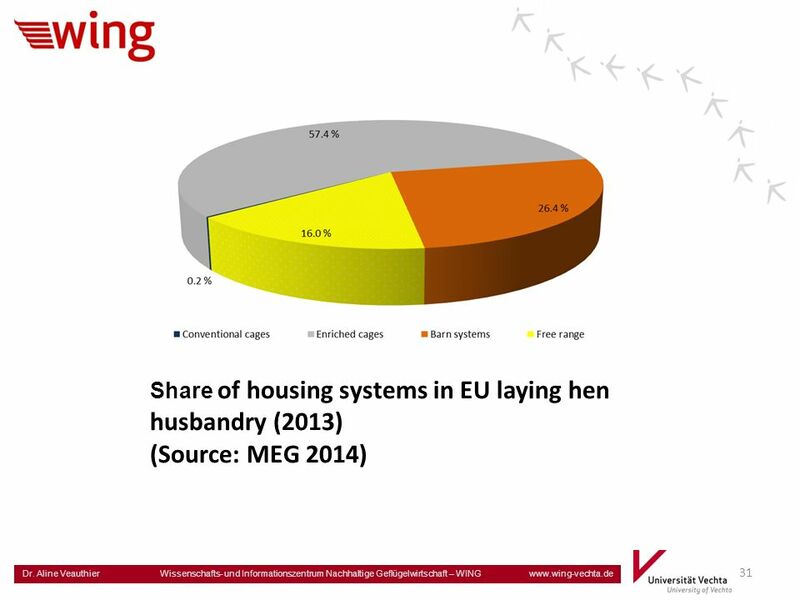 The available space both sub-systems is 4 m 2 per hen, a maximum of 2.500 hens/ha must not be surpassed. 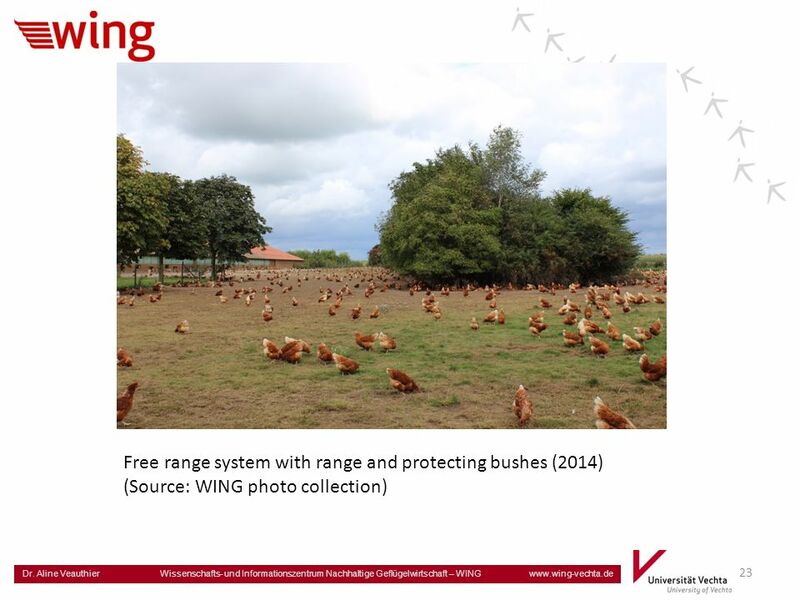 The outside area is mostly covered with grass and should offer bushes, trees or shelter to protect the birds against predators, rain, bright sunshine or cold. 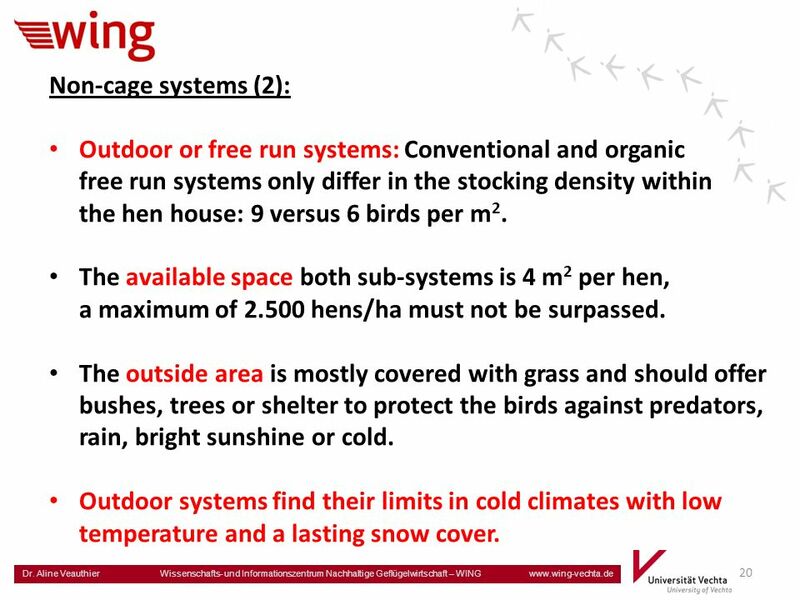 Outdoor systems find their limits in cold climates with low temperature and a lasting snow cover. 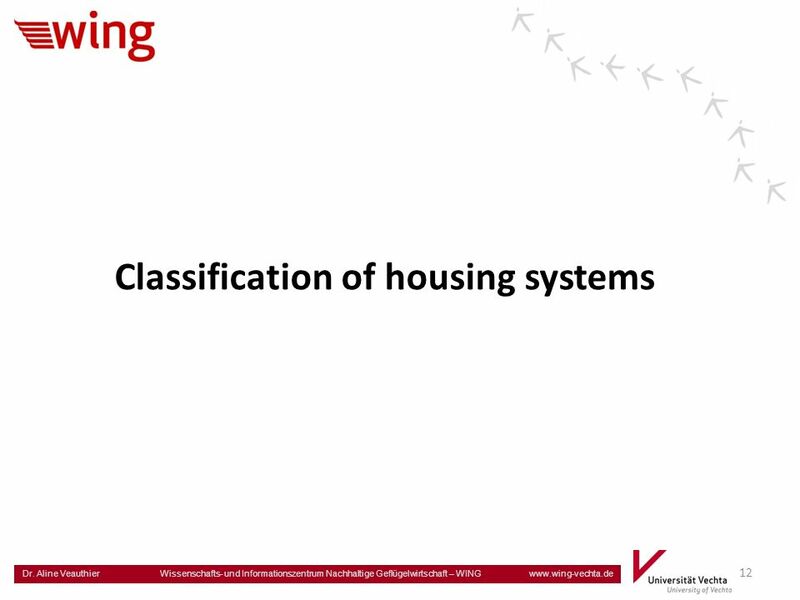 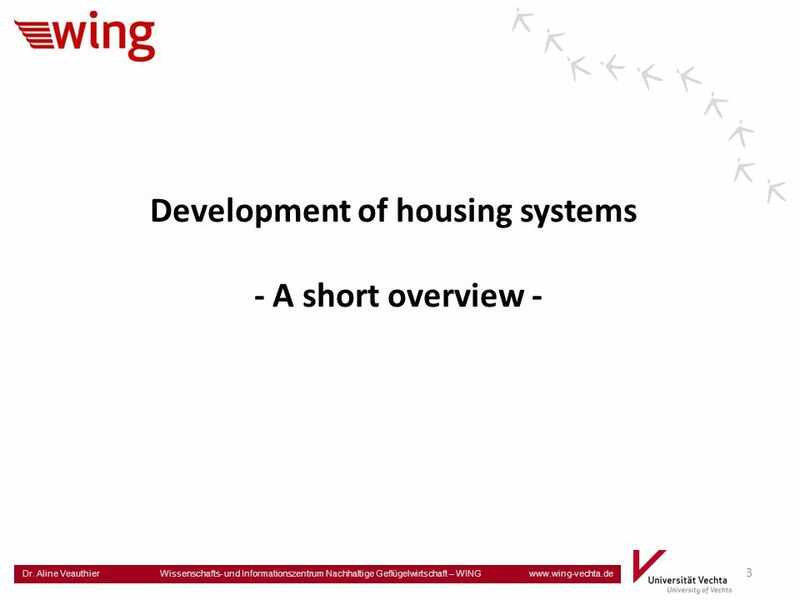 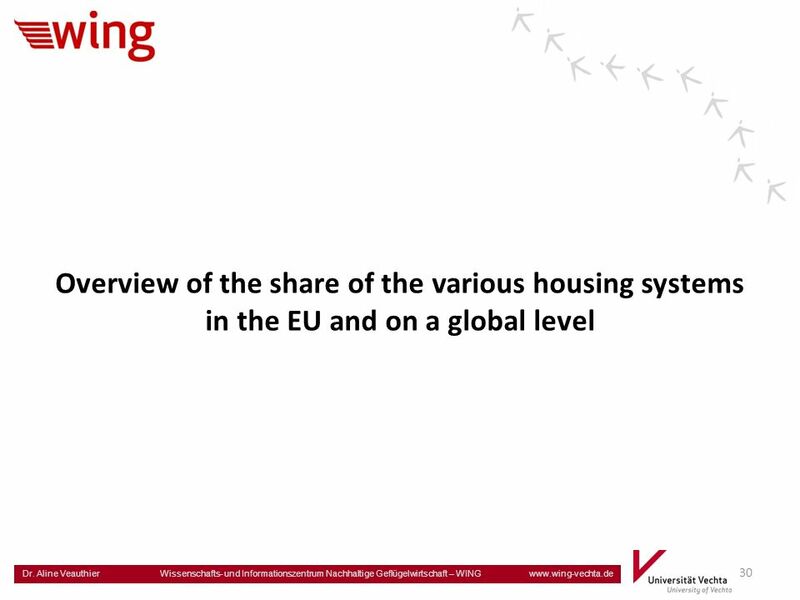 29 29 Dr. Aline Veauthier Wissenschafts- und Informationszentrum Nachhaltige Geflügelwirtschaft – WING www.wing-vechta.de Synopsis of the comparison: All presently used housing systems have advantages and disadvantages. 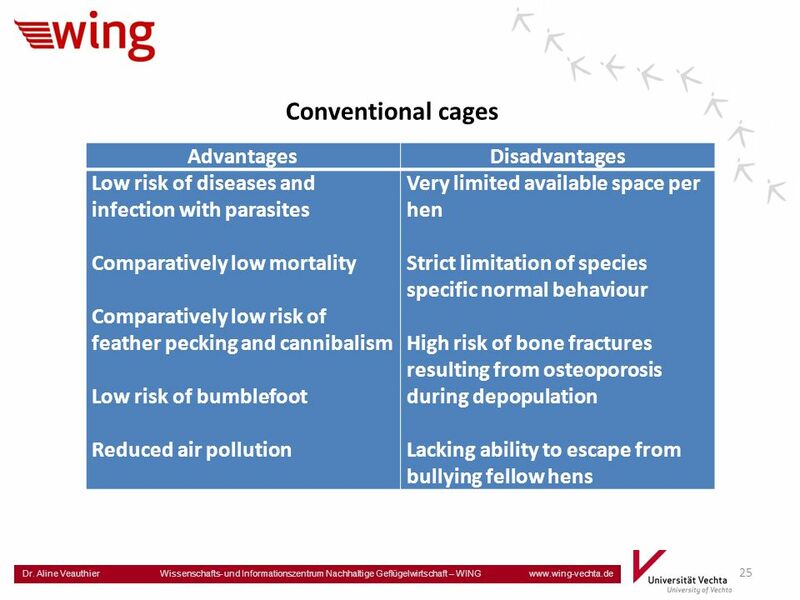 Main argument to ban conventional cages: limited space per hen that does not permit basic species specific behavioural patterns. 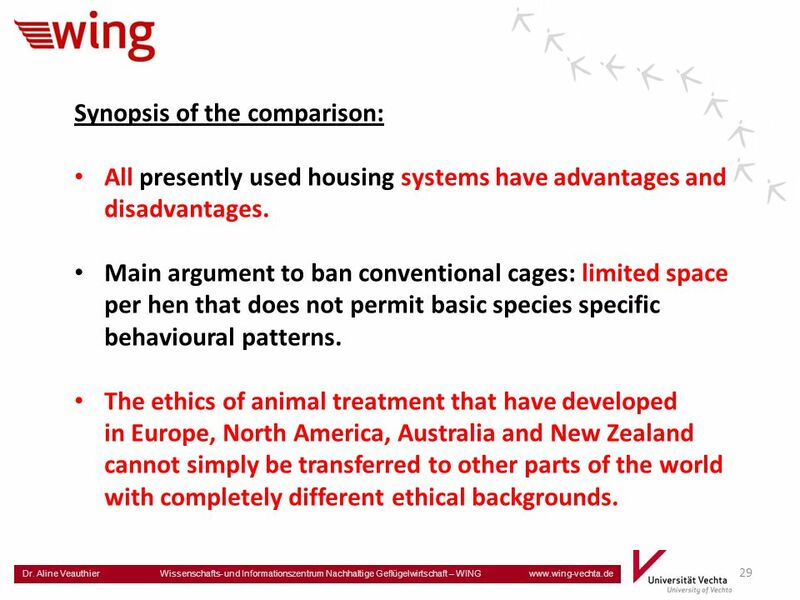 The ethics of animal treatment that have developed in Europe, North America, Australia and New Zealand cannot simply be transferred to other parts of the world with completely different ethical backgrounds. 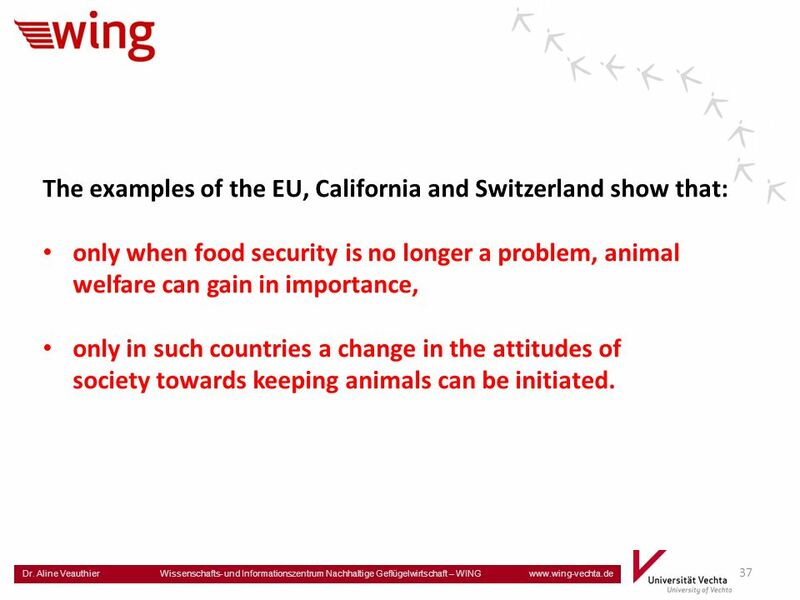 37 37 Dr. Aline Veauthier Wissenschafts- und Informationszentrum Nachhaltige Geflügelwirtschaft – WING www.wing-vechta.de The examples of the EU, California and Switzerland show that: only when food security is no longer a problem, animal welfare can gain in importance, only in such countries a change in the attitudes of society towards keeping animals can be initiated. 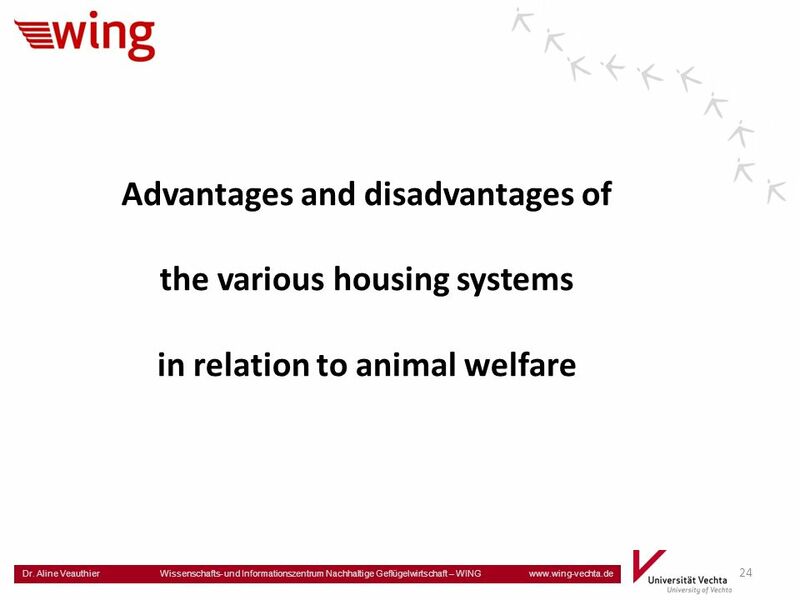 38 38 Dr. Aline Veauthier Wissenschafts- und Informationszentrum Nachhaltige Geflügelwirtschaft – WING www.wing-vechta.de It remains to be seen, whether the animal welfare discussion which was the main driving force behind the banning of cages and changes in housing systems will spread to other countries and continents. 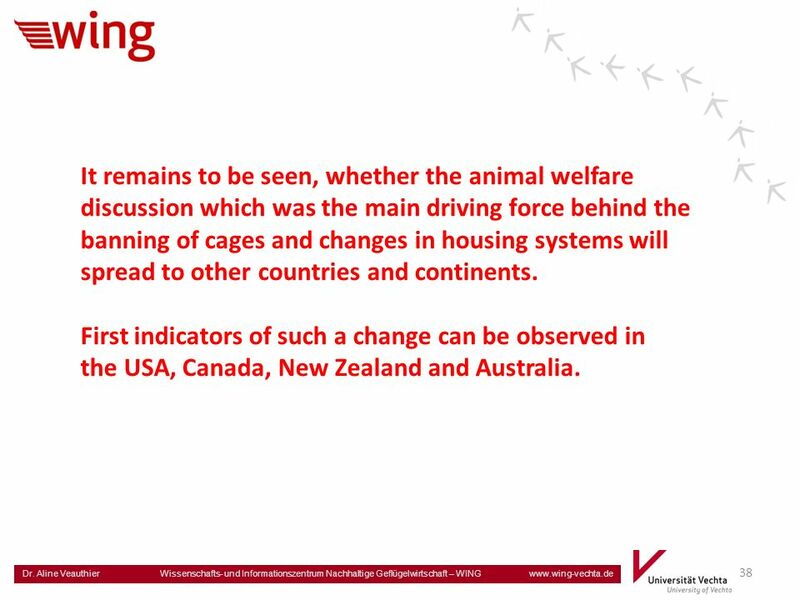 First indicators of such a change can be observed in the USA, Canada, New Zealand and Australia. 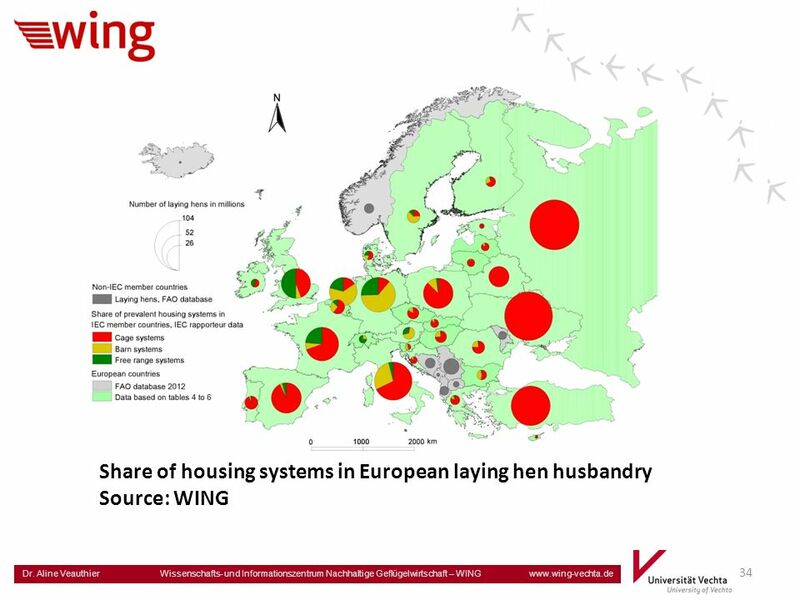 39 39 Dr. Aline Veauthier Wissenschafts- und Informationszentrum Nachhaltige Geflügelwirtschaft – WING www.wing-vechta.de Thank you for your attention! 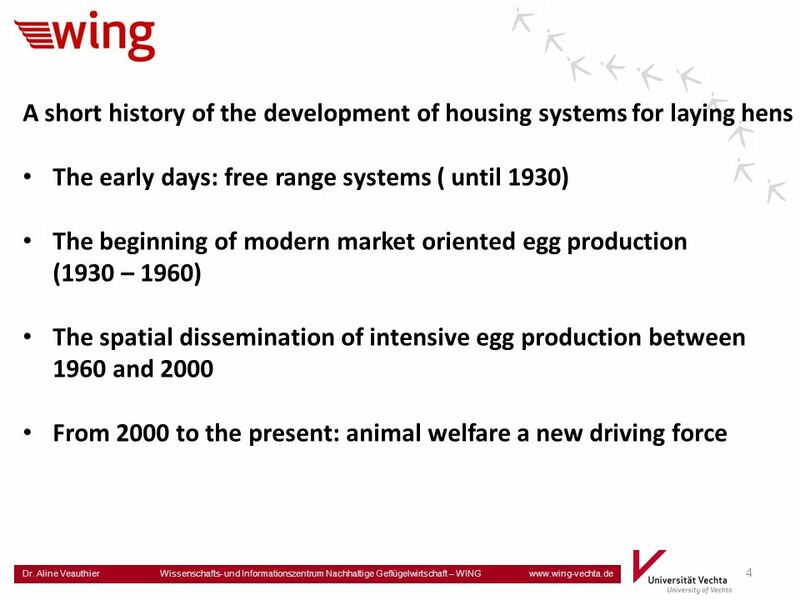 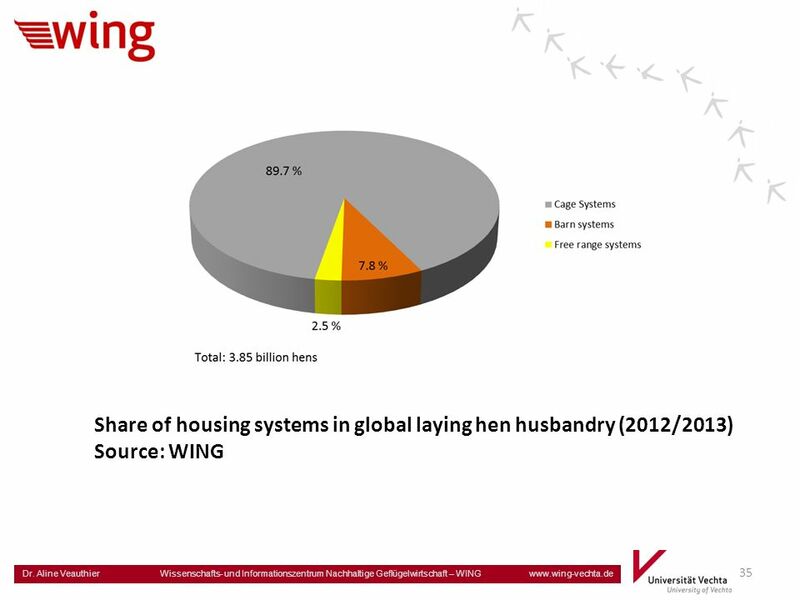 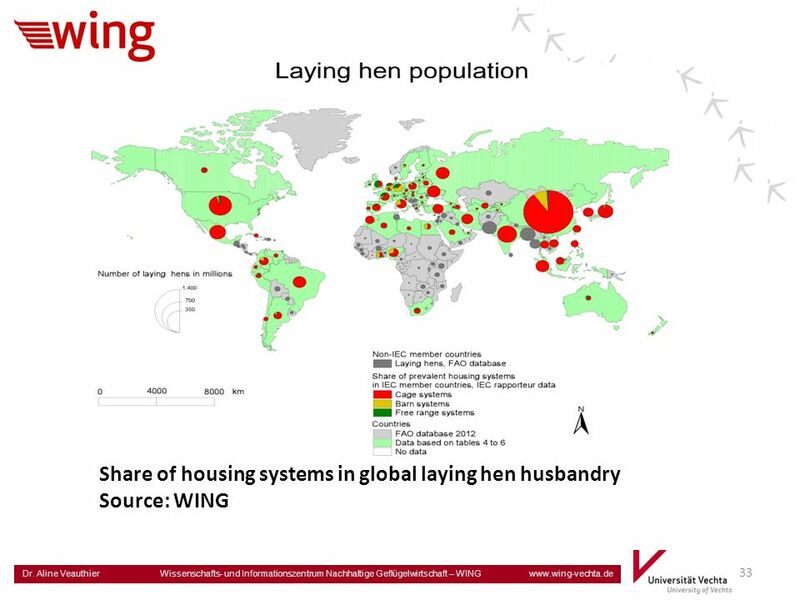 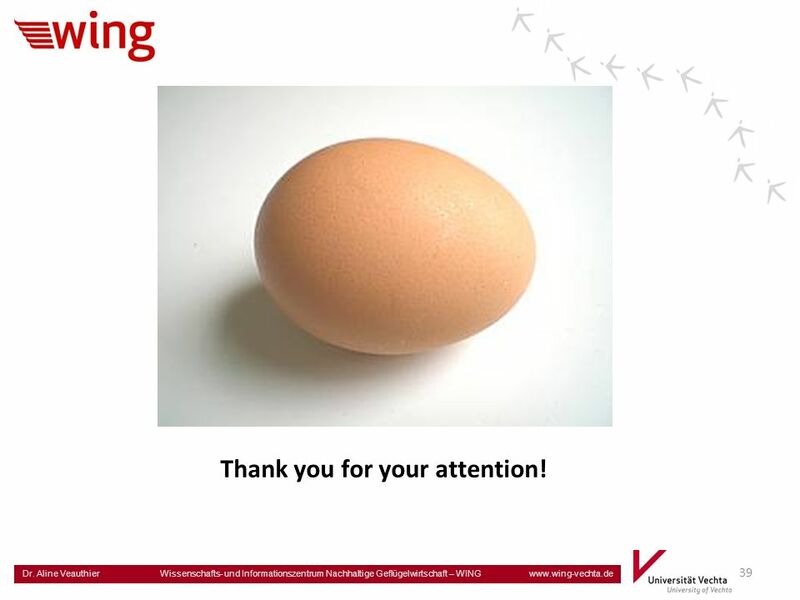 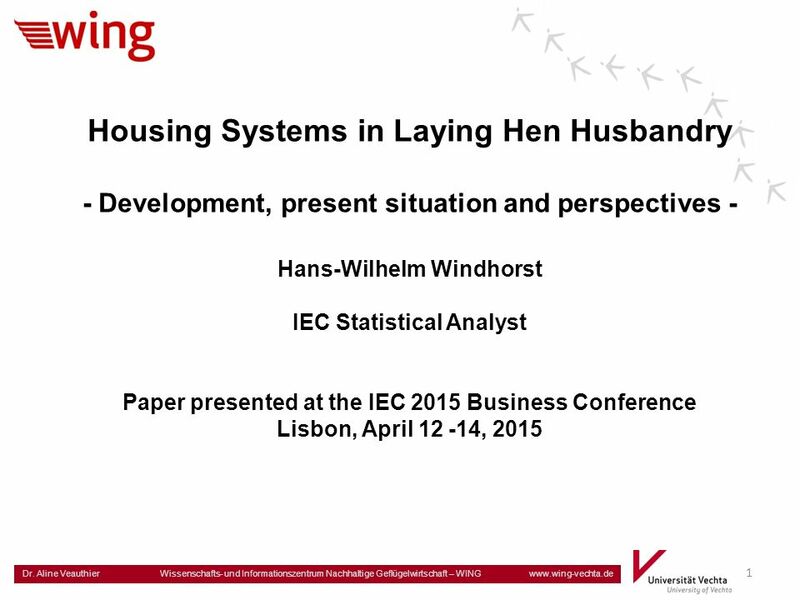 Herunterladen ppt "1 Dr. Aline Veauthier Wissenschafts- und Informationszentrum Nachhaltige Geflügelwirtschaft – WING www.wing-vechta.de Housing Systems in Laying Hen Husbandry." 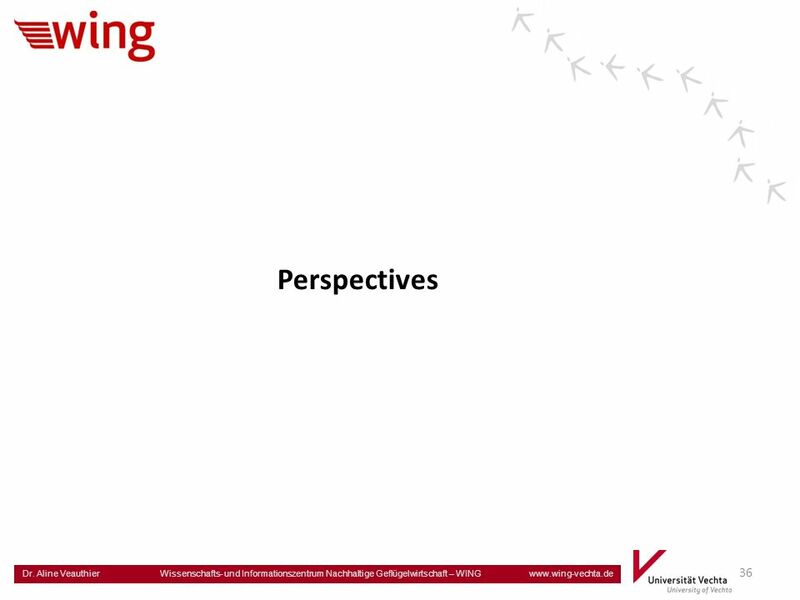 Fakultät für Gesundheitswissenschaften Gesundheitsökonomie und Gesundheitsmanagement Universität Bielefeld WP 3.1 and WP 4.1: Macrocost.